Dokebi Road also called Mysterious or Ghost Road in Jeju where cars roll uphill with the engine turned off. Notice the water mark on the road at the right. This is an illusion. Due to the lack of a true horizon, subconsciously our judgement of a slope is misled by the false horizon in that area. This is not unique to Jeju alone but the Koreans have done a great job travel marketing this Mysterious Road or Ghost Road into a tourist spot. Next, we’re going to Yongduam Rock (Dragon Head Rock) – the famous landmark of Jeju Island. Jeju-do is a paradise for lovers of raw fish (in Korean, hoe). The mild flavor and chewy texture of fresh local fish is exceptional. 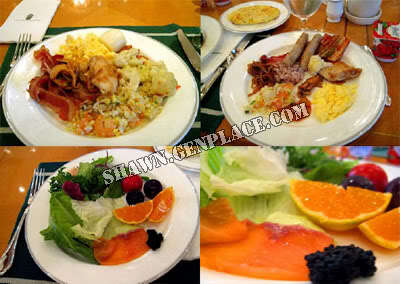 Early in the morning, we’re having our buffet breakfast at the same hotel that we stay. Bulguksa is a Buddhist temple in the North Gyeongsang province in South Korea. It is home to seven National treasures of South Korea, including Dabotap and Seokgatap stone pagodas, Cheongun-gyo (Blue Cloud Bridge), and two gilt-bronze statues of Buddha. The temple is classified as Historic and Scenic Site No. 1 by the South Korean government. The stone pagoda Dabotap has a staircase on each of the four sides. Four stone square pillars support the pagoda’s first roof, where is build a square stone railing. Inside the railing is the body of the pagoda, and above it, standing on the second octagonal-shaped roof surrounded by an octagonal stone railing, are eight bamboo-shaped stone pillars support the octagonal-shaped lotus stone carved with sixteen petals. After that, proceed to the local Korea buffet restaurant for our lunch.